Social Media is emerging as a very powerful way to engage consumers. Financial institutions are built on trust & advice. 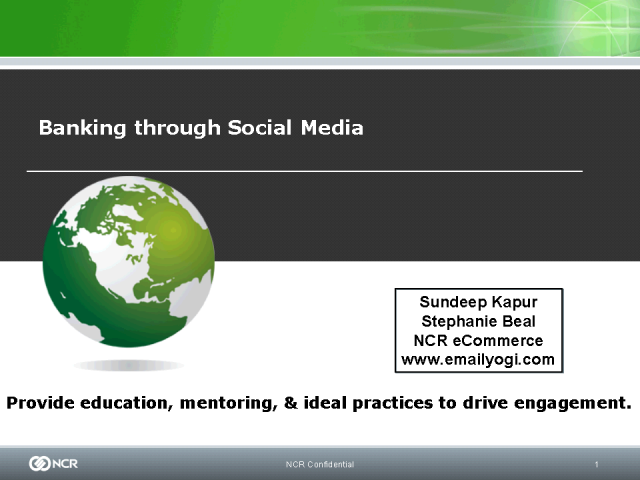 Leveraging social media effectively can have a positive impact. Join our conversation on how best one can truly 'bank' on social media. No pun intended.